Nearing the end of his five year term, he achieved none of his stated goals. Instead, he has been accused of engaging in endemic corruption, nepotism, inefficiencies, illegal backroom deals with foreign countries and companies as illustrated by Dr. Abdullahi Y. Muse (runaway corruption, nepotism, and inefficiency), and mismanagement of public funds (Abdiwali Gaas a shameless incorrigible betrayer of his nation), (Gaas-and-the-floundered-presidency) as published on WardheerNews by Osman Hassan, Faisal Rooble,respectively. If he runs again, it would not only be a travesty on the face of the people of Puntland to exercise their inalienable right to vote fairly and freely for their candidate of choice, but it would also be pretense to sap democracy in the region. It would be reprehensible microcosm of tribal political Mockery, an entitlement, if you will, that is reserved only for certain sub clans of the establishment class, with no chance so far, for others to have a real chance of winning the Presidency. On the face of it, it seems that successive Puntland presidents have come to power in fair and free elections but in reality the behind the scenes process used to elect the president has been a make-believe one because the outcome of election and the winner has always been known in advance to establishment elites. Also, of their own, the establishment class has more than half of the MPs in the parliament and if they stick together, the top job is always guaranteed to them. However, if the MPs of the ruling clan fail to stick together, the framers of the constitution cleverly devised another mechanism to sway the votes in their way. Establishment elders created certain voting blocs who were known to be susceptible to bribery and corrupted practices, thus creating an unholy alliance between the establishment and MPs belonging to corrupted voting blocs. Again this guarantees a favorable outcome for the ruling class. And this is in essence how it becomes possible to know the outcome of the election in advance. So, essentially Puntland election is manipulated either through collusion amongst the dominant clans or through bribery of corruption prone MPs. If Puntland was moving in the right direction, if progress was made where it was needed, and if we could hold leaders accountable for their actions, it would have not mattered who won the presidency. But when the presidency becomes an entitlement, there would be no incentive for the incumbent to achieve growth and development for the region. Some months back, I asked a well-placed Somali official who also hails from the region, why he wouldn’t give it try to run for Puntland presidency. His answer: this is the turn of Osman Mohamud Saleban. No one else has a chance to win the presidency other than them, he added. I told him I wouldn’t mind them succeeding each other if they were doing a good job in developing the region, keeping the peace, providing public services, and maintaining law and order. 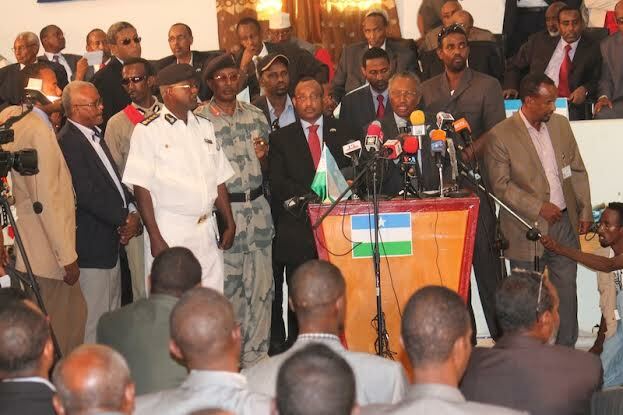 The disastrous legacy that these four leaders (Abdullahi Yusuf, Cadde Muse, Abdirahman Farole, and Abdiwali Gaas) left behind will reverberate in our conscience long after them and, the damage done by them would not be easily undone, but we are living the present and can stop Abdiwali Gaas, from extending his stay or claiming another term through corruption, bribery, and intimidation. Rumors are abound that foreign mercenaries underwritten by UAE, are wreaking havoc on the economy by illegally mining gold and other minerals in Puntland region without legally binding agreements/contracts to explore and extract natural resources in Puntland. Due to Puntland’s abysmal election process, I have this creeping feeling that the next so-called election in Puntland will be more of the same charade, a revolving door for another candidate of the same establishment class to enter through, claim victory and warm the seat for another five years only to pass the baton again to the next one, without achieving much in the way of development, stability, and opportunities for the youth. Someone who will abide by the rule of law. And although there are a number of highly qualified candidates such as Ali Haji Warsame and others who are currently running, they might not be able to muster enough votes to win the election, because of the fact that it is not their turn to run.